Named for our company's founding year, this collection is one of vintage appeal and timeless allure. For those looking for a classic, yet unique design, look no further. Delicate millegraining details with hand engraving showcase your diamond spectacularly. 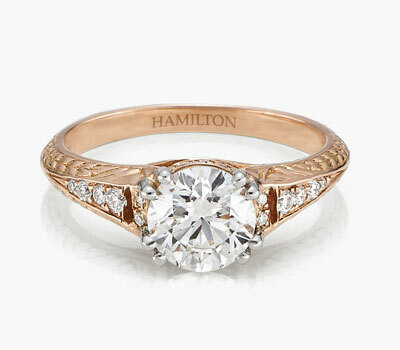 In platinum or 18k gold, the exquisite rings are designed by our master craftsmen from Hamilton's original archived designs.